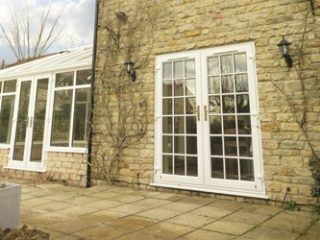 White PVC Brilliant white profile, most other frames are slightly off white usually with a yellow tinge. 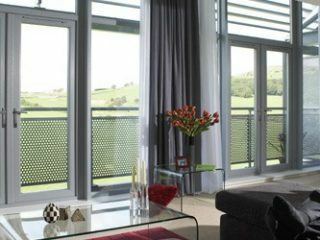 Discolouration Guarantee for ten years Because the frame is not manufactured using recycled materials and all of the profile components are virgin. Meaning the frames will not discolour. 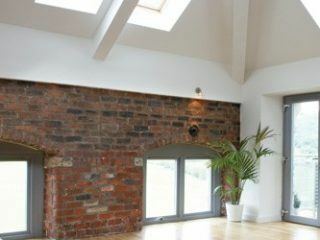 Fully internally glazed with double scotia internal and external frame Glass units can only be removed from the inside. 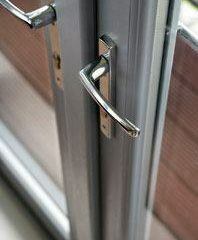 This makes our doors far more secure than externally glazed doors. 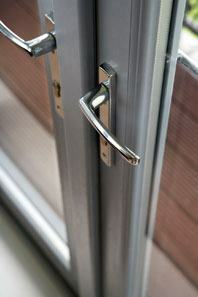 Double working handles Both the 1st and second door are fitted with matching handles not just finger bolts. 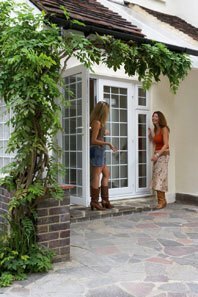 This gives a balanced appearance and both therefore have a full locking system. 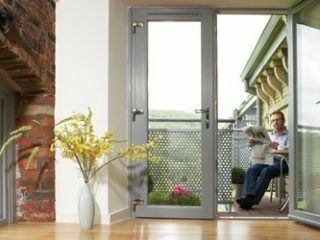 Concealed restrictors stays Outward opening french doors are fitted with restrictors as standard which allow the doors to be opened safely without the wind blowing them against the external wall. 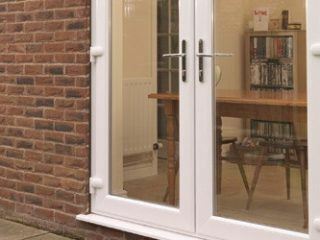 The restrictors also allow the doors to stay part way open and are fully concealed when the doors are closed. Double security barrel An individual locking barrel is fitted to each door so that either or both doors can be locked. Fully reinforced frame and sash All of the hardware i.e. 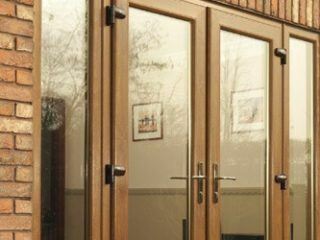 hinges, handles and locks are secured to steel, not just PVC. Multi hook bi-directional Roto Frank locks One piece lock ensures a smooth locking operation, whilst the multi hook ensures anti-lift and extra security.